ATTENTION!!! The deadline of the video-competition of the ENER-SUPPLY project has been extended to 25th January 2012. The second issue of the newsletter is available here. To celebrate the importance of the energy efficiency and to encourage the usage of renewable energy sources, the project ENER-SUPPLY invites you to take part in a Video Competition. The contest is open to residents of the following countries: Albania, Bosnia and Herzegovina, Bulgaria, Croatia, Former Yugoslav Republic of Macedonia, Greece, Hungary, Italy, Romania, Serbia, and Slovakia. The participants are welcome to present their view of energy efficiency, renewable energy sources and sustainable development in a 1,5 – 3,5 minute video. For details of the competition, click here. You can learn more about the European ENER-SUPPLY project at http://www.ener-supply.eu. After Kolping Hotel Spa and Family Resort at Alsópáhok and Bio Cleaner Kft. Orgalco, a producer of environmentally friendly cleaning products Öko-Park Panzió, a pansion at the Bükk National Park near Eger has been awarded the EU Ecolabel. 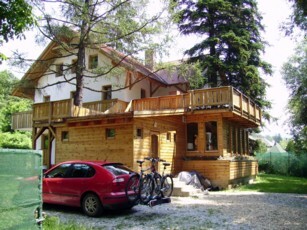 The European Ecolabel for tourist accommodation services signals good environmental performance and gives an assurance of added quality for consumers choosing a resort. Enterprises bearing the Flower Logo have officially been distinguished as being amongst the most environmentally friendly in their area. 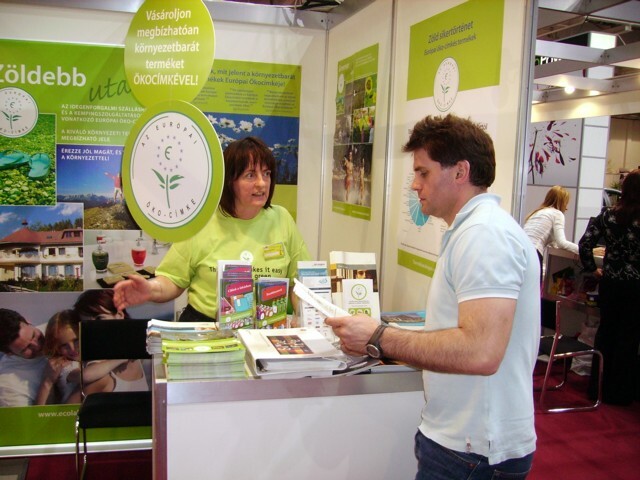 The “Ecolabels” stand of the Center for Environmental Studies on the Budapest Greenexpo organised between 28-30 March was a success. Visitors could see EU ecolabelled products (all-purpose cleaners of the Hungarian producer, Bio-Ceaner Kft. Orgalco, Sylvania light-bulbs, PNZ varnishes, Dalium, StoraEnso és UPM-Kymmene copy and graphic papers as well as Italian floor tiles. Besides, products awarded with the Hungarian and the Czech ecolabels and the EU ecolabelled Hungarian Kolping Hotel were presented as well. The Hungarian versions of the EU brochures for consumers "Cleaning Up" and "In the House" were distributed together with a small catalogue of shops where EU ecolabelled products are sold. The latter proved to be particularly popular as ecolabelled products are not visible in the Hungarian shops. In July 2006, the council of Budapest approved a green public procurement regulation, the first local authority green procurement regulation in Hungary. It is based on the Green Procurement Manual for Local Authorities prepared and published by the Center for Environmental Studies in 2002. (For the manual, click here.) Dr. Orsolya Barna, head of the Procurement Department hopes that the share of environmentally conscious purchasing of Budapest is going to increase significantly and before long, at least 40% of the calls for tenders will include environmental criteria (this share has been recommended by the EU). In order to achieve this, environmental aspects, as a rule, must be incorporated in all procurement deals, except for cases when urgency of the deal or excessive (by more than 20% higher) prices of environmentally friendly alternatives make it impossible. In all other cases, a waiver should be obtained from the Environmental Department. Referring to the renewed strategy of the EU, the Integrated Product Policy as well as the position of the year 2006 annual assembly of the Hungarian environmental organisations, the Center's letter sent to Mr. Persanyi, Minister of Environment urged him to initiate actions facilitating environmentally friendly management and procurement practices in the Hungarian public sector. Suggested actions included the preparation of the national green procurement action plan recommended by the EU Commission, setting up a co-ordinating body and developing good practice of both green procurement and environmental management of the Ministry of Environment to inspire other Hungarian public sector organisations. The Hungarian copy of the letter is available on the Center's website. On its brownfield conference on 29th November 2005 the Center presented its brownfield database with data on 182 Hungarian brownfield sites. Information stored in the database is based on the results of the survey conducted in 2005 by the Center. The database is available both in Hungarian and in English. For the English version, click here. The publication was a result of the project "Towards Sustainability", sponsored by the UNDP. It includes seven case studies prepared on sustainability projects of local governments and NGOs addressing both environmental, economic and societal issues (such as poverty, unemployment). As the cases demonstrate, local sustainability projects are easier to implement than national sustainability programmes, due to their different dimension, lower complexity, the possibility to directly adapt project goals to the target audience as well as the possibility of direct contacts among different participants. Nevertheless, they do need national/regional sustainability programmes and policies that may create an endorsing social and economic environment, and provide orientation for local projects. Even without this support, the presented local sustainability projects yielded important results (though overall results sometimes fell behind the original objectives). They proved to be workshops for experiments, and provided lessons for both the participants and similar sustainability projects. For an English summary and the content click here. 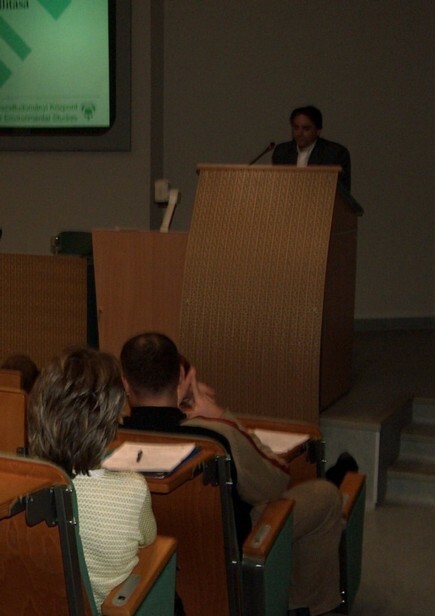 On 7-8 June 2004, the Center for Environmental Studies organized an international industrial ecology conference for the Visegrad countries together with its CEE partners, ETP-Slovakia (Kosice, Slovakia), the Institute for Environmental Policy (Prague, Czech Republic) and the Institute for Sustainable Development (Warsaw, Poland). The event was sponsored by the International Visegrad Fund. Keynote speakers of the conference included Gunter Pauli, Director of the ZERI Foundation, and Noel Brings Jacobsen from The Symbiosis Institute (Kalundborg, Denmark). The Proceedings (available only in English) can be ordered from the Center. For more details about the Proceedings click here. Some presentations of the conference have been translated into Hungarian and can be downloaded from our website. The Center for Environmental Studies (CES) was founded in 1993 as an independent non-profit thinktank organization. Its mission is to serve as a catalytic institution for the environmentally sustainable restructuring of Hungary. The CES focuses on public policy research, education and advocacy related to environmental policy and sustainable development. It seeks to assist the national government, regional and local governments, the business sector, and non-governmental organizations. Any material and information on this website can be used if the source is acknowledged. However, prior written permission of the Center must be obtained for any commercial reproduction or use.